A couple of weeks ago I decided to buy a new summer toy and focus on my floating/fly fishing this season. I am really excited to spend as many days on the river as possible. 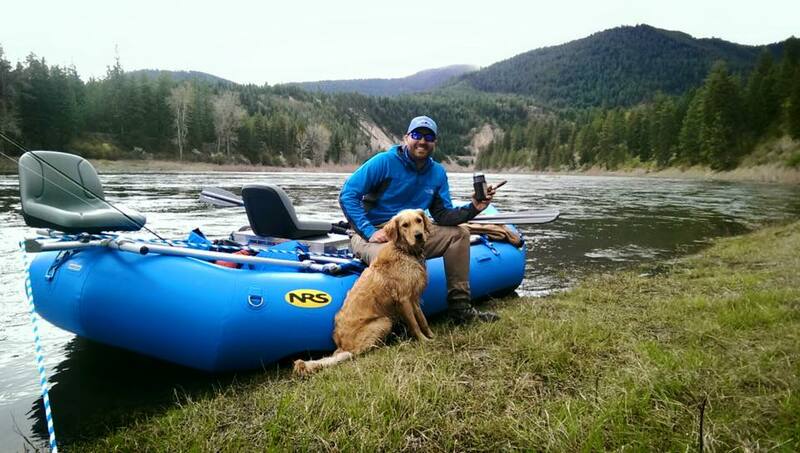 My NRS Otter 140 with NRS Custom Fishing Frame arrived last Friday so I took it out on the maiden voyage on Saturday with a few friends on the Clark Fork River. The boat itself is wonderful. A lot more room than what I am used to in our older 13′ Outcast raft. This was also Hurley’s first trip down the river. He didn’t skip a beat and acted like he was a seasoned pro. I’m glad he loved the boat and that he will be with me every trip I go on. It was a rather windy and chilly day but the fish were feeding. Had the best luck on a skwala but the gray drake hatch was going strong (when the wind was calm). Overall, the day was a success and the boat stayed afloat.